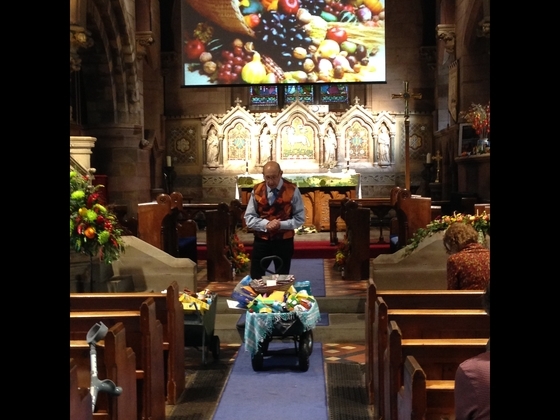 Our Harvest Service took place this year on Sunday 7th October. The service was well attended and enjoyed by all. We donated goods for the Black Country Foodbank and money for Tearfund. As part of the service the barrows of goods were wheeled to the front of the church for a blessing.